Earlier this year the winner of the 10th Samsung World Championship was China's Luo Xihe 9 dan. The news wasn't all that surprising, considering the praise the player had garnered in recent years. What startled many, however, was the fact that it was Lee ChangHo 9 dan whom Luo overcame to win the title. Lee is the most celebrated player of the modern era, and arguably, the best. Before the finals, Luo's previous record against Lee had been a measly 0-4. Later in the 10th LG World Championship, Lee ChangHo and Lee SeDol, the official top two in Korea, were beat out by China's Chen Yaoye and Gu Li, respectively. And that wasn't the end of the story. Choi CheolHan and Park YoungHoon, two of the most accomplished young pros in Korea, fell to a couple of unknowns from Japan and China in the earlier rounds. A year before, the 5th Ing World Championship saw its first non-Korean winner in Chang Hao 9 dan, who ousted Choi CheolHan in the finals, 3-1. Korean dominance in international competition is slipping. One could argue Lee SeDol is still the defending champ of the Fujitsu Cup and Lee ChangHo just took the latest Chun Lan Cup. But clearly this is far from what we are used to seeing for the past decade. From 2000 to 2003, for example, Korea brought home astonishing 23 straight international tournament wins. The balance of power today cannot be said to be so blatantly in Korea's control. Lee ChangHo seems no longer invincible. Lee SeDol is still maddeningly inconsistent. Cho HoonHyun and Yoo ChangHyuk can't run the table as they once did. On the other hand China, led by Gu Li, Chang Hao, and the deepest roster of talents than any other in the world, is closing the gap with Korea in a hurry. Where does China generate such strength in challenging Korea's supremacy? The most convincing theory lies in their socialist culture that promotes systematic development of young elites in every facet of society. 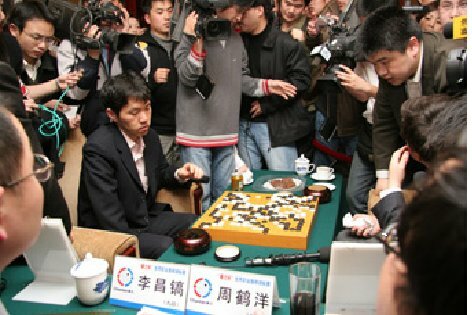 Just like the dominance achieved in the Olympics and other international competitions by the former Soviet Union and eastern European nations, China is showing a similar type of success in Baduk by locating and developing their young talents in an extremely efficient and organized fashion. Baduk hopefuls receive a tremendous amount of support from the central government, which in return allows the local administrations to locate the most promising candidates early on and place them under the tutelage of their best teachers. If a student proves his worth by surviving the brutal peer competition, he goes on to join the national Weiqi training team overseen by former world champion Ma XiaoChun 9 dan. Once he or she reaches that level, a high social status as well as comfortable lifestyle awaits, facilitating an ideal training ground for the aspirant. The objective ranking system adopted in 1999 created a transparent order of hierarchy among "the best of the best," which has since played a vital role in motivating their most ambitious players to accomplish more. According to the latest ranking, the current number one is Gu Li 7 dan, who has held that title 4 years in a row now and for the 8th time overall. Recently, he flexed his muscle by winning 3 national tournaments in a matter of 5 days, reaffirming his status as the undisputable champion of Chinese Weiqi. 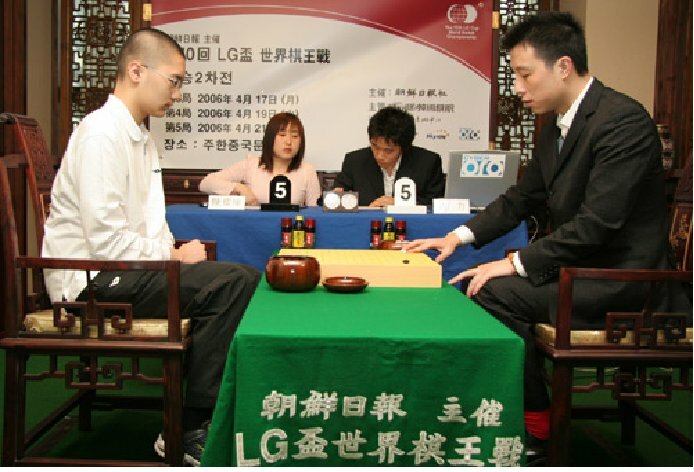 Luo Xihe improved from number 13 to 7 by winning the 10th Samsung World Championship. The Ing Cup winner and perennial powerhouse Chang Hao 9 dan is ranked at 9, Hu Yaoyu at 4, and the always-consistent Kong Jie and Zhou Heyang remained in striking distance of Gu Li, positioning at 2 and 3 each. When you examine the ranking closely, you'll notice a striking feature, the strong presence of young guns rounding out the top 30. Chen Yaoye, the prodigy who surprised the world by thumping Lee ChangHo in the LG Championship, sits at number 14, and he is only 16 years old. Bak Munyo, another rookie who gave a strong performance in the LG preliminary rounds, comes in at number 20 and is barely 15 years old. Li Juh and Gu Lin, ranked at 23 and 30, are just 16 and 14 years old, respectively. The progress of these young talents, coupled with the explosion of production by the established veterans, appears to attest to the system that works. The perfect formula, advancing success backed by a solid future, is flourishing in China today. In just a few years, one can reasonably foresee China making a legitimate claim to the new superpower of Baduk. In a stark contrast, Japan's struggle for nearly a decade against international competition has officially hit rock bottom. Hane Naoki 9 dan, Japan's official number one ranker, at one point lost 15 straight matches against Korean and Chinese counterparts (April 2003 - May 2005). Other top pros such as Wang Licheng (22 wins and 20 losses), Cho U (15-15), Yamashita (11-15), and Kobayashi (9-11) fail to show a strong record against foes outside Japan. It is no longer an unusual sight for an international tournament to feature not a single representative from Japan past its preliminary stages. Cho U's recent winning of the LG World Championship in 2005, unfortunately, looks more like an aberration than a manifestation of continuing success. Until 1980, Japan was easily the most significant nation in Go. Led by titans Sakata Eio, Fujisawa Shuko, and Rin Kaiho, Japan firmly held its position as the best in the world. From 1968 to 71, Korean pros posted an excruciating record of 3 wins- 25 losses against Japanese. China didn't fare much better, by going 2 wins, 1 tie, and 32 losses in 1960. So what happened to this once-proud power? Many point out to the absence of outstanding training grounds in the country after the closing of the Kitani Minoru School in 1975. Rin Kaiho 9 dan supports that theory, comparing the rigorous and organized systems of Baduk education in place in China and Korea with the relative lack of such in Japan. Fundamental differences in their educational philosophy may also suggest an answer. The studying culture in China and Korea encourages the utilization of group study and interaction of ideas among their students. In contrast, the preferred method in Japan is that of individual learning and self-internalization of ideas. Some commentators suspect if the latter has stagnated production of the most up-to-date technique and concepts in Japan, causing the modern Japanese pro to lag behind. Another interesting theory is the unique Japanese style of play that emphasizes form over substance. 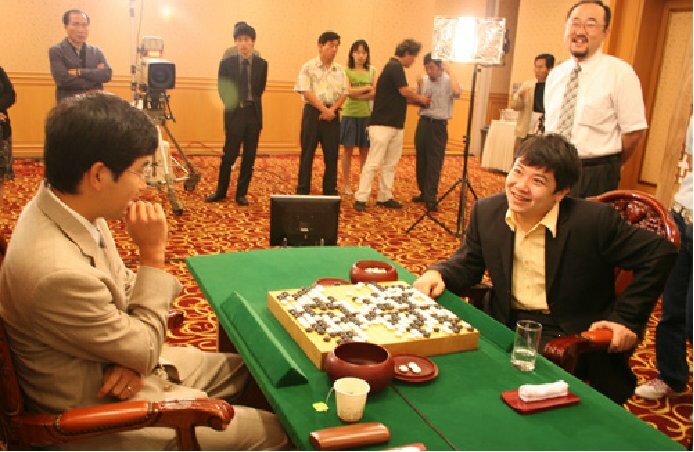 Advanced by Otake Hideo 9 dan and other purists of Go, there exists a notion that playing for the "beauty" of the game is more important than playing to win the match at hand. In other words, many Japanese pros still find it honorable to play moves that make the game more aesthetic than employing the best possible moves designed to win it. This is due to their belief that "the way of Go" should prevail over the new cutthroat culture of competitive Baduk that tends to overstress winning. Whether compelling or not, some commentators have offered it as a possible explanation for Japan's decline against the more-competitively-minded Koreans and Chinese. Other theories include the difference in length of time between the standard international and domestic match. This difference is sometimes very large, from 3 hours to 8. Having been trained to play at a much slower pace, the argument went, the Japanese pro is slower to adapt to the different style of play advanced by the faster international standards. This theory no longer seems to command much credibility as normative data has shown little correlation between a player's level of play and the length of time. A good example is, but not limited to, Cho Chikun 9 dan of Japan. Cho is known as one of the "slowest" players in the game today, yet also one of the most prolific blitz performers in the world. But is Japan finally making a comeback? The popular success of "Hikaru no Go," a cartoon based on a young man's journey in his pursuit of Go excellence, has sparked a considerable amount of interest among its younger generation of players. Japan certainly has the resources and tradition to compete with China and Korea. Its roster of 400 pros is twice as deep as Korea's. Some of the newcomers in recent years have shown a lot of promise. But whether Japan could join the level of the two in the near future is, still, a question only answerable by Japan herself. Mr. Lee is one of the most respected Baduk journalists in Korea who is also a 5-dan amateur. Lee currently writes columns for the Chosun Ilbo, Baduk TV, and the LG World Championship, among others. He is a graduate of Yonsei University and holds a masters degree in Korean Literature from Hanyang University School of Journalism.